This post is in collaboration with Duraflame. All opinions are my own. With a flip of a switch it seemed as though fall had arrived in Seattle; however, fall in Seattle is rather finicky as later this week it is supposed to be sunny and 77* again. The days have definitely gotten shorter, but it is still nice to spend these evenings outside by the campfire, just in a different manner. Instead of sitting out there late into the night and cooking dinner over the fire we’re hanging out in warm clothes and enjoying the warmth of the fire while we sip hot beverages. 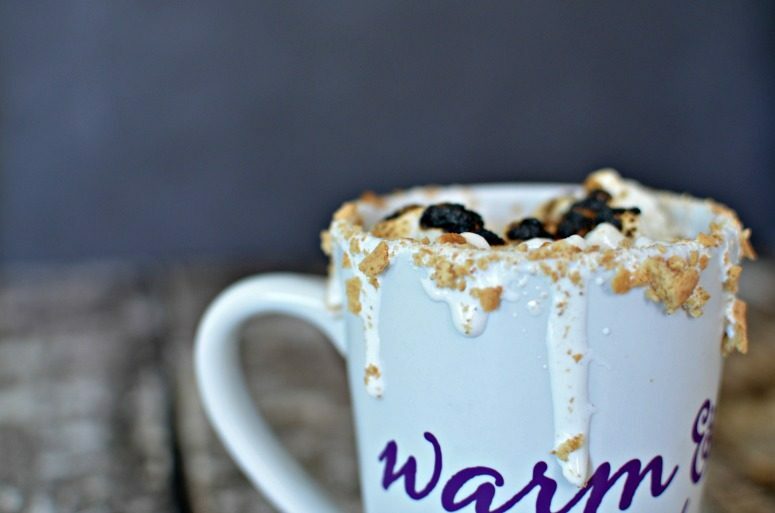 One of these hot beverages that is perfect for campfire sipping is S’mores Hot Chocolate. It is reminiscent of summer with the s’mores flavors, and leaves a warm & cozy feeling while sipping it. Remember summer with this delicious warm beverage. Perfect for early fall when you aren't quite ready to let go of summer. Even just smelling this beverage reminded me of summer. It was just like summer had never left (in true s’more making tradition, I accidentally burned my mini marshmallows on this hot chocolate). 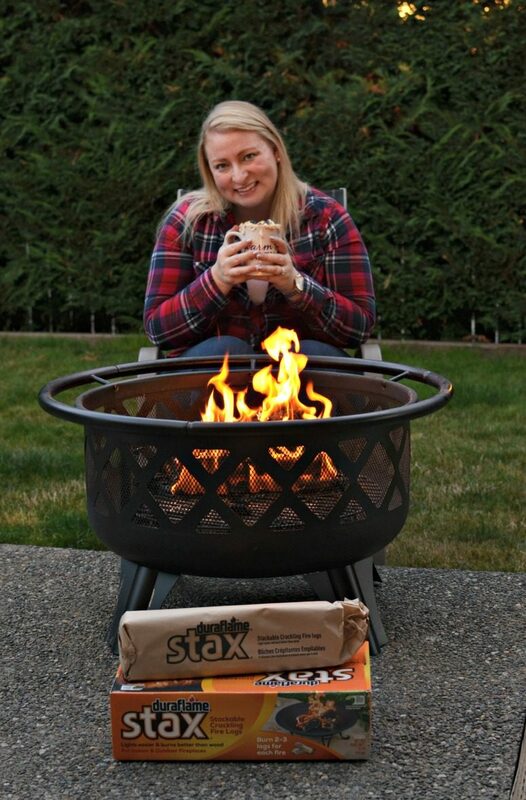 When we are using the fire simply for warmth and ambiance, and not for roasting, the Duraflame Stax Cracking Logs are perfect for an evening fire. These logs put out some great heat and definitely made for a comfortable fire in the evening. One thing that I appreciate about the Duraflame Stax logs is how easy they are to light. 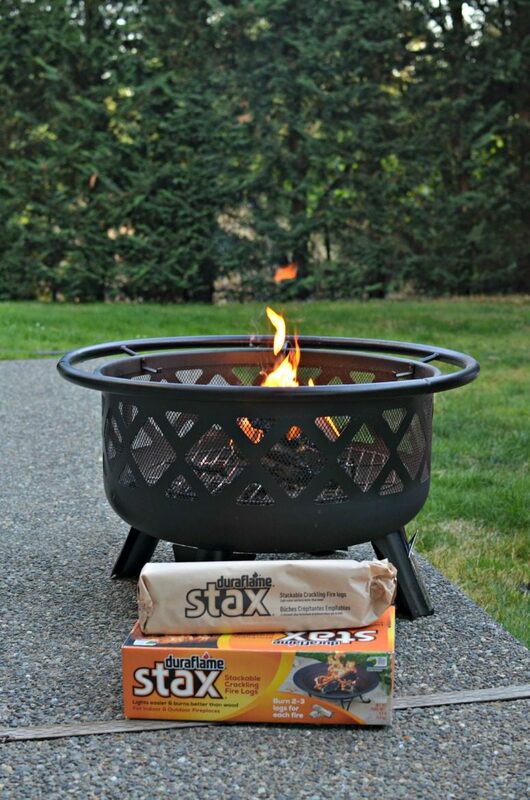 Simply stack two on top of each other, light the paper where indicated and the fire is off! The box contains a 3rd log as well in case you would like to extend your evening fire a bit longer. These three logs burn better than a standard wood bundle which contains 5-6 logs, and they are made of 100% renewable resources that burn cleaner than a wood fire. Their unique split wood shape still gives a nice glowing fire which crackles like a wood fire. S’mores are one of my favorite desserts to enjoy during the summer. There is something about the flavor combination that screams summer so this hot chocolate is a fun way to extend the enjoyment. As we get towards the end of campfire season for the year, we will be heading outside as much as possible and soaking up these last few opportunities for glimpses of summer. I am looking forward to enjoying my s’mores in beverage form during these evenings and making plans for all our adventures next summer. Are you a s’mores fan? What do you think about enjoying them in Hot Chocolate form this fall? Since it’s still 87 degrees here, it’s not as enticing as it will be tomorrow when the temps plummet. Bring on fall and all the hot chocolate! You had me at s’mores…. YUM. This looks so perfect and cozy. I love that you roasted the marshmallows on top! I love anything s’mores, so I’ll definitely be making this soon! this will be perfect for our weekly neighbor nights when the temps lower! I want two of those now! I LOVEE SMORES! This sounds so good right now. 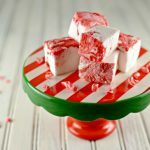 I love chocolate and marshmallow! 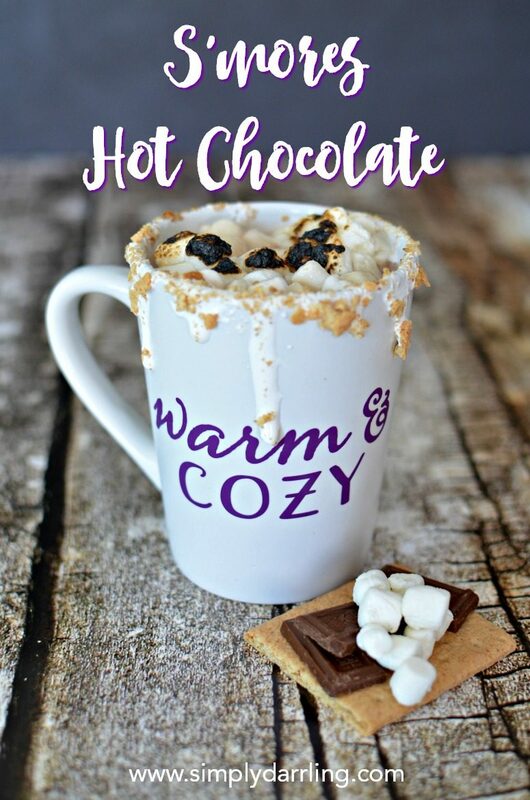 Such a great idea for a hot cocoa recipe! :) It looks so decadent. 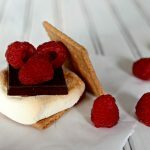 I love s’mores so this is right up my alley! YUM. Sounds perfect for fall! Oh my I want to make some right now! I love anything hot chocolate and s’mores! 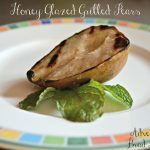 This sounds so comforting and yummy! Thanks for sharing at Fiesta Friday party! 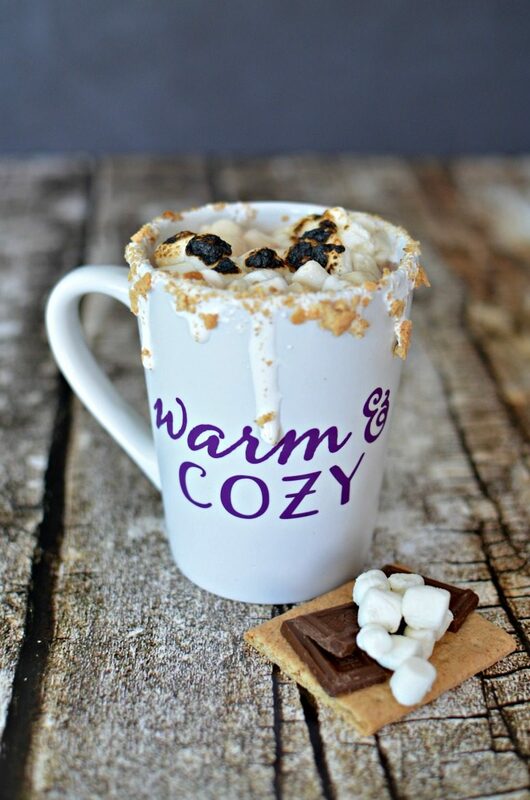 A Smores Hot Chocolate will be a very cozy drink for a nice fall day! 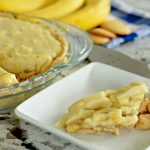 Hope you have a great weekend and thanks so much for sharing your post with us at Full Plate Thursday!